Mahadevdanda, Godawari- 2, approximately 10 minutes driveway from Godawari bus stop is a small community of people inhabited majorly by people of Silwal community, was the next destination for conducting paralegal program in NJSI’s newly built women center which addresses the need of almost 300 members. On 15th and 16th November, 2018 the paralegal program was organized and as per the plan, the first day of the training was to make participants aware of their Fundamental Rights as Nepali citizens mentioned in the Constitution of Nepal. It was followed up by participants’ role playing skits in different situation for explaining hegemony in the society. 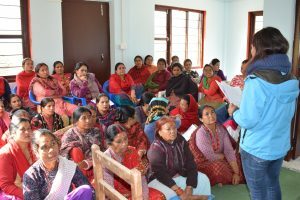 The following day, the staffs discussed with the participants to understand and explain Gender based violence and Nepal’s legal provisions for it. To mark the end of the program, certificate was distributed to participants who had attended the program on both days. The participant group of Godawari were different to that of other places where the same program had been conducted. The residential area in itself looked better and so did the people. They were not shy to put forth their experiences and to speak their mind. The participants took the opportunity to share and discuss cases of their lives as well as those of others. The group consisted of health assistants, considered leaders of the area, laborers and housewives. Most of them seemed to have ideas about the subject matter that the two days program had to offer. The participants themselves participated in the skit and experienced and learned the meaning of it. Many of them backed up the content with their own share of knowledge that they learned in their real life practices and experiences in dealing with them themselves. Participants expressed verbally towards the end of the program that the two days program had been beneficial for them. 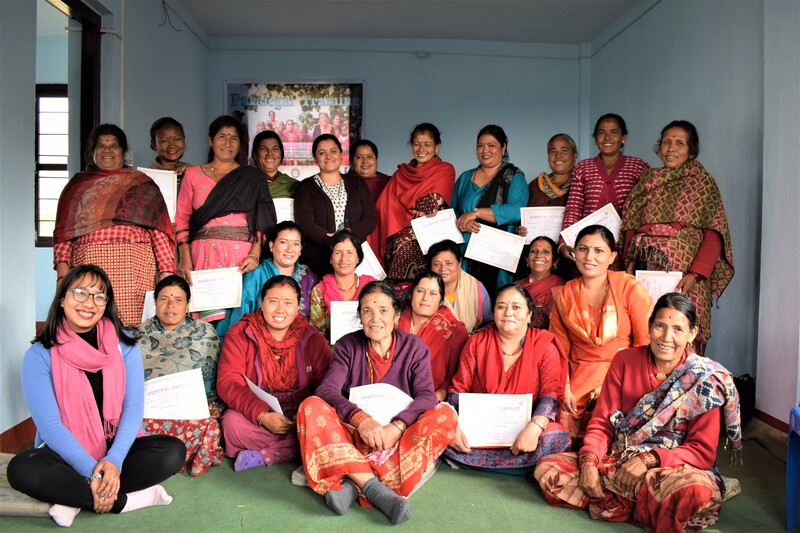 They were thankful towards NJSI for the program as well as extended their gratitude for building the Women Center for them.